Some of my work, from human profiles to music criticism to gamers from the NCAA tournament. Perfect Match: Inside Project 44 and how late Andrew Smith helped save a 2-year-old boy's life. Andrew Smith continues to affect change long after his death. This story is the proof — and there are likely to be dozens more stories to come about over the years. Project 44 is why. Here's how a boy named Chase, man named Andrew and his friend, Chase, became forever linked. A path of life and death: Jake Wiley quit, then conquered, now aims for NBA Draft. Leave your mother on a whim, only to find your father dead after moving in with him. Give up basketball. Then come back. Become a father, a graduate student — and finally an NBA prospect. The most remarkable overcome-the-odds story of any I've had the chance to write about. A plane crash, seven broken families, and the town that's helping them heal. In 2015, a mysterious plane crash took the lives of seven men. These are their stories. And this was as emotionally difficult of a story as I've ever had to write. Processing immortality, family in the wake of Kris Jenkins' shining moment: "I grabbed them and asked, 'What just happened? What just happened?" she said. "It was a moment in time. Like, still. Then you catch yourself -- and you take off. And you go find somebody who can share this with you." My gamer from the 2016 national championship game, won by Villanova's Kris Jenkins, who grew up with two families -- and hit the winning shot in maybe the best title game in college hoops history. Musical March Madness: Every NCAA Tournament coach's favorite band: A look at the 2016 NCAA tournament's field of 68 -- by looking at which band or artist was each coach's favorite. A passion project, and a rewarding one. Mason Men: The previously untold stories and minor miracles that catapulted 11th-seeded George Mason to the 2006 Final Four -- and changed the NCAA tournament in the process. Emmanuel Omogbo tragically lost his parents but gained a nation of support:In January of 2016, a player at Colorado State lost his parents and his twin niece and nephew to a fire in his childhood home. What was even more chilling: Emmanuel communicated with his dad approximately one hour before he died. His story soon went viral, and the outpouring of support exemplified the best of sports. A Bulldog's Battle: The unbelievable fight and incredible story of former Butler big man Andrew Smith. This is the most powerful piece I've ever had the privilege of writing. Paternal Fraternity: The overlooked reality of so many players and so many programs in college athletics: fatherhood. A close look at many situations with college athletes and how they can afford to live as fathers and as students -- and as players. Trek to 3,000: Doug McDermott's historic hunt at college hoops legend: The story of how former Creighton star Doug McDermott became one of the 40 or so best players in the history of college basketball. Before These Crowded Streets Turns 20: Dave Matthews Band at its biggest, boldest and best. My favorite album. One of the best records of the 1990s. Yet it isn't heralded that way in the critical community. Why is that? I spoke with producer Steve Lillywhite about that, and a lot of other things that make Streets the record that solidified DMB has a Hall of Fame-worthy act. Robert Randolph: A Soulful Salvation. When Robert Randolph left the church, some called him the devil. The slide guitar prodigy was one of the best interviews I've ever had in terms of this: he was so open, so trusting, so friendly over the phone despite the fact we'd never spoken before. A rarity in an interview subject. Twenty-five years in, Guster still has a case as the most underrated pop-rock act of the past two decades. I am known, in the most niche of worlds where Sports Twitter crosses streams with Guster Twitter, for being the guy who's always on TV at the Final Four with the Guster Is For Lovers sticker on his laptop. In 2016, I went behind the scenes with the band and wrote about why they're underappreciated—and kind of OK with that. Confessions of a Springsteen Newbie: In February of 2016, I attended my first Bruce Springsteen concert. I wasn't sure what to expect; the hype is ridiculous for Bruce's shows. I walked away feeling invited, yet still something of an outsider. So Much to Say: Revisiting Dave Matthews Band's Crash at 20: Unexpectedly, Crash’s reputation has become a bit overshadowed in the 20 years since its release, at least when compared to the other two records in DMB’s “Big 3” and even more so against the backdrop of the dozens and dozens of influential LPs released throughout the ’90s. This despite DMB’s most successful and best-selling record — by a solid margin. Under the Table at 20: Revisiting Dave Matthews Band’s Most Important Record. 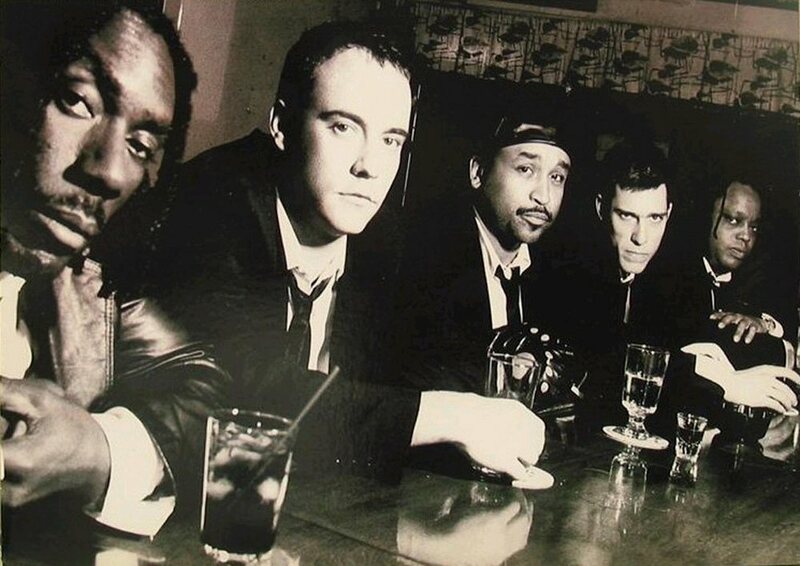 Dave Matthews Band's major-label debut was the most important of the band's career, and 20-plus years post, is still one of the best debut LPs of the 1990s. This is a story on how it came to be.